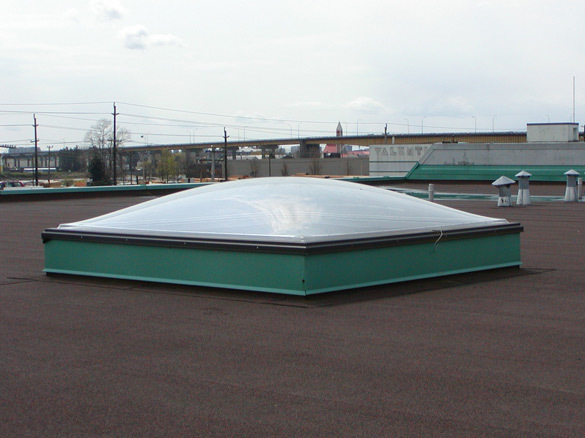 Our ATCM acrylic units are the number one choice for commercial applications that involve a flat roof. 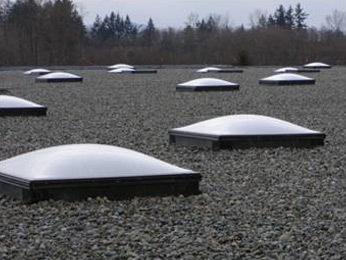 Sizes range from 1 x 2 to 5 x 5 and are available in a variety of shapes including our most popular choice, the low profile dome. 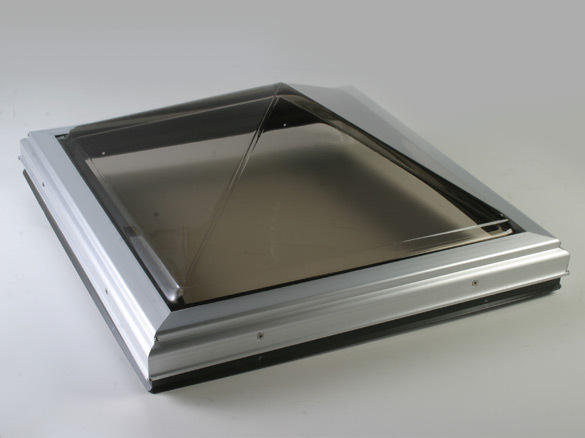 The aluminum thermally broken curb mount is a factory assembled unit consisting of an extruded aluminum base frame with all corners fusion welded to ensure an effective watertight frame, condensation gutter and weep holes. 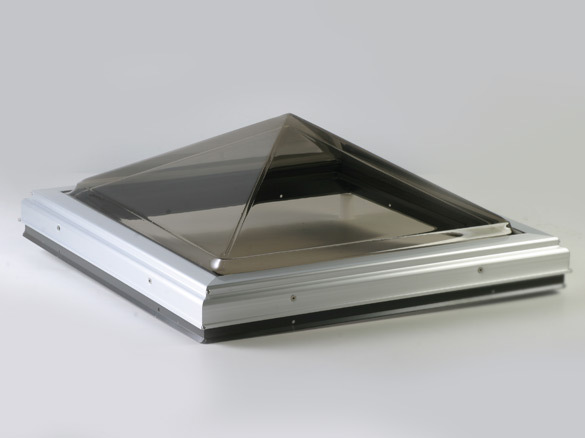 Dayliter Skylights acrylic skylight units have a unique carefully designed stretch formed safety skirt in place to act as an "umbrella" over your roof opening. 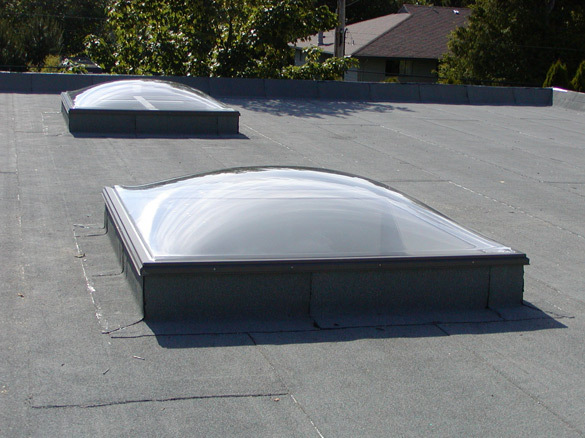 Dayliter's exclusive safety skirt directs all moisture away from the curb.